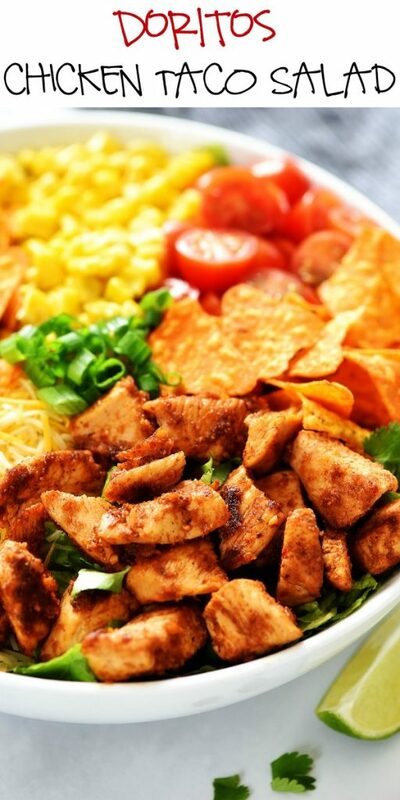 Doritos Chicken Taco Salad is filled with seasoned grilled chicken, corn, tomatoes, cheese, and of course, nacho cheese Doritos. 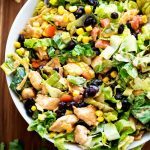 This yummy chicken taco salad is loaded with flavor and perfect for lunch or dinner. Serve it with your favorite dressing! 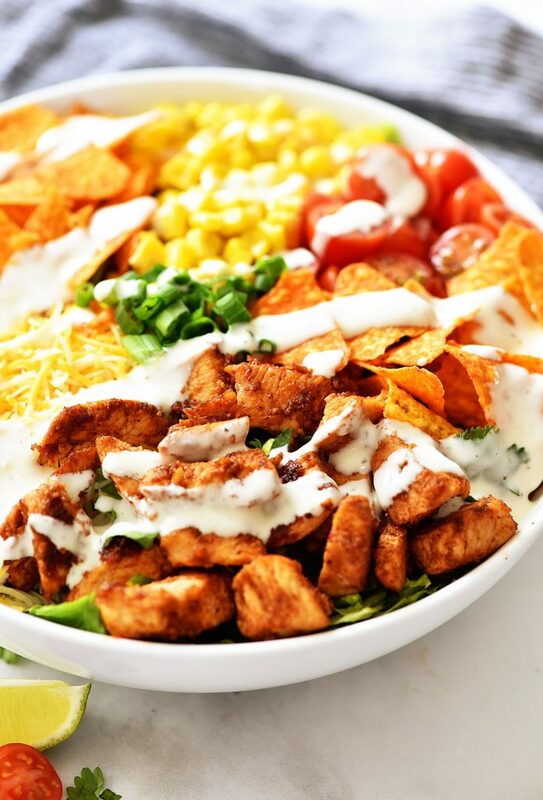 This Doritos Chicken Taco Salad is filled with seasoned grilled chicken, corn, tomatoes, cheese, and of course, nacho cheese Doritos. 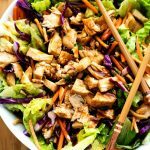 This yummy chicken salad is loaded with flavor and perfect for lunch or dinner. Serve it with your favorite dressing! The chicken gets a huge boost of flavor from the taco seasoning. 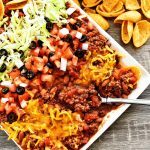 The added green onion and corn also gives this taco salad new dimensions of texture and flavor as well. This salad is anything but boring! WHAT IS THE BEST DRESSING TO SERVE WITH THIS SALAD? You can never go wrong with Catalina dressing or ranch dressing. 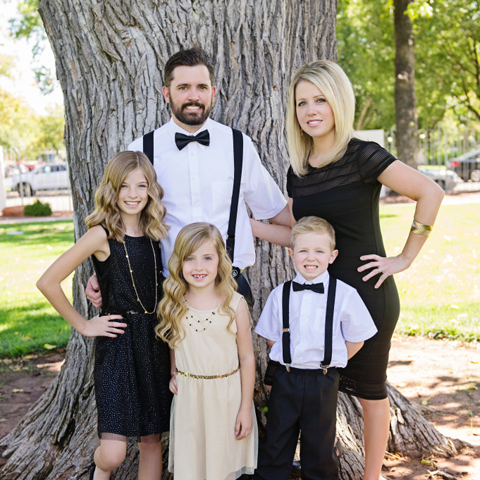 My family is huge ranch lovers, so that’s our typical go-to dressing for this one. We have also enjoyed Catalina dressing with it as well, which is the typical dressing served with taco salad. Either one will take this to another level of yum! WHAT ARE SOME MORE TACO TOPPINGS I CAN ADD TO THIS SALAD? CAN I MAKE THIS SALAD AHEAD OF TIME? Yes, you can definitely make this salad ahead of time. What I like to do is clean and chop my veggies then place them on top of a bed of chopped romaine lettuce. I keep it covered tightly in the fridge until we’re ready to eat. You can also make the chicken ahead of time as well, then just add it to the salad when ready to serve. You can warm up the chicken or leave it cold. I also wait to add the Doritos chips and dressing until I am ready to serve it. That way the Doritos are still crunchy and the salad dressing doesn’t make everything soggy. 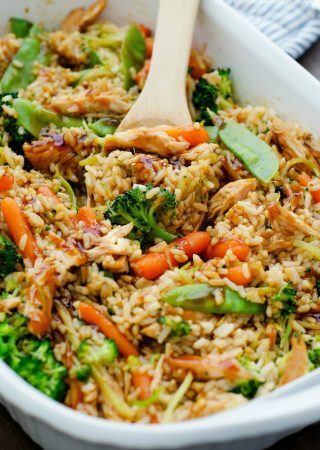 For this recipe I am giving the list of ingredients for the toppings, but in no specific amounts (besides the chicken.) Everyone has certain beliefs on serving size so I will let you decide on how much of those things you want to add to your salad. 🙂 No matter how much or little you use, you can’t go wrong with this salad. It is really incredible! Heat a large non-stick skillet over medium-high heat. Spray skillet with cooking spray. Add cubed chicken and season with salt and pepper. Cook and stir chicken for about 10 minutes or until chicken is cooked through in the center. Sprinkle chicken with taco seasoning then pour water over the top. Continue to cook and bring mixture to a boil. Reduce heat and let simmer 5 to 8 minutes. 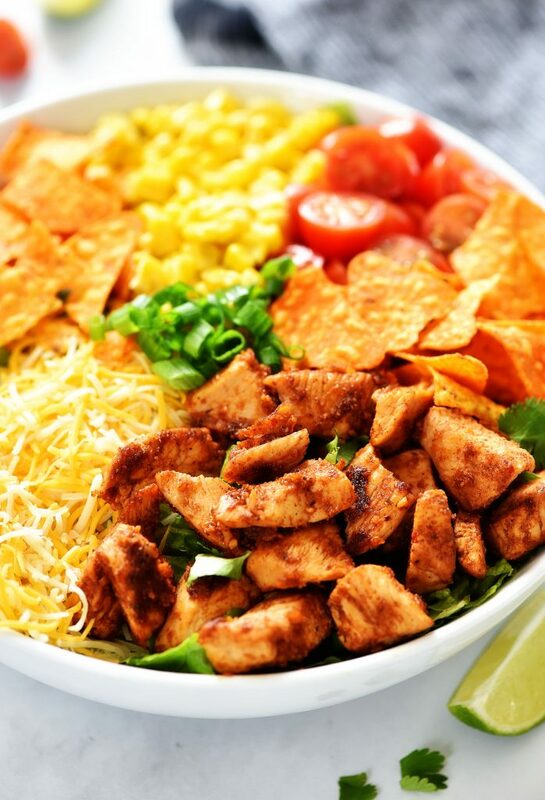 Serve salad with crushed Doritos chips and dressing of your choice. Enjoy!